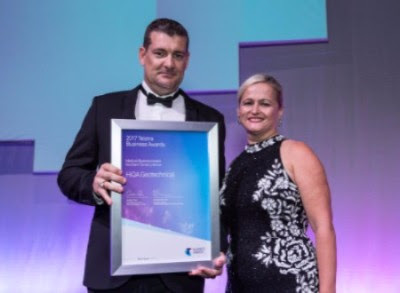 HiQA Geotechnical was a major winner at the 2017 Telstra Northern Territory Business Awards coming away with two accolades. The company, led by managing director and founder Luke Myall, was named Northern Territory Business of the Year. Local Geotechnical Services for the Territory. A ‘Yes’ experience, every time. If you want your geotechnical testing and sampling done fast and done right the first time, you’re in the right place. A Territory-owned-and-operated business since the late 1980s, we deliver local geotechnical services to ensure your projects run smoothly.